I’ve done it again, I accepted the challenge from Collective Bias to find Equal Sweetener at Walmart. This sounds very simple but it wasn’t so straight forward this time. 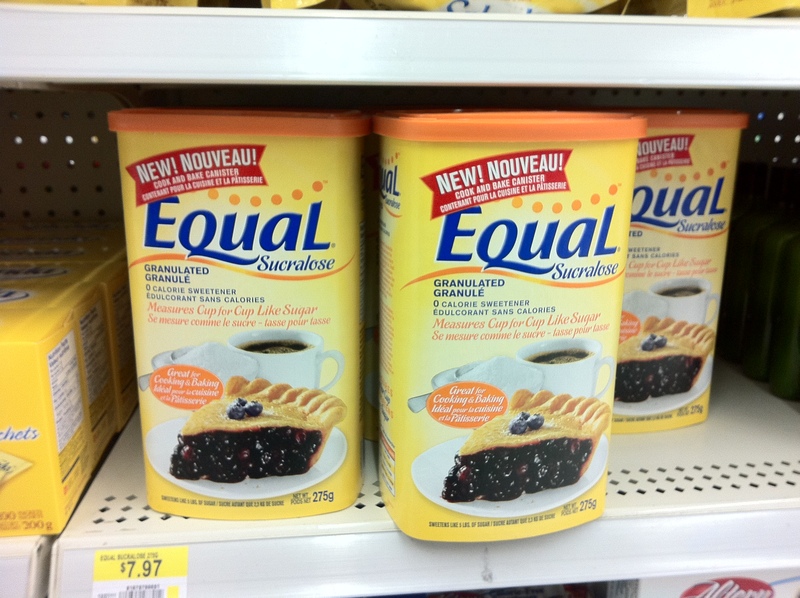 There’s a new box of Equal Sweetener available, it’s a large yellow container which is great for storage and makes for less waste and it’s on Rollback at Walmart right now for $7.97 instead of $9.97. Knowing that it’s a pain to bring our lovely daughters shopping with us, Hubby and I called in the big guns. Chelsea is our girls favorite person in the World and we knew they’d be jazzed to have her babysit! 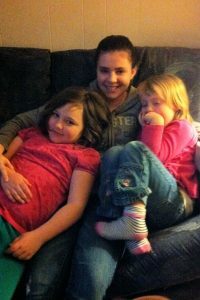 Within minutes of her arrival the girls had forgotten we existed and off we went. Walmart was quiet, it was 7pm and a few days after Valentines so I wasn’t very surprised. 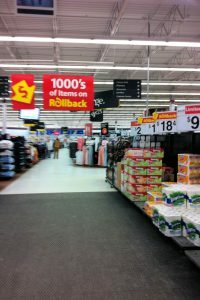 What did surprise me was the number of products on Rollback, apparently there were thousands! I swear I heard Hubby do an inward groan as he saw my eyes light up, perhaps he’d actually thought we’d be in and out quickly….without the kids? Not going to happen! Our shopping trip included stops in almost every department! I managed to get my daughters 4 pairs of pants for $4 each, pj’s for $5 and oh yes of course I picked up some rose shaped soap on sale…who doesn’t need rose shaped soap?? It wasn’t simple to find the Equal box, in fact there was no Equal to be found in the baking aisle at all. I found a clerk and she had no idea…things were looking grim when she suggested we try in the Pharmacy. Strange as it sounds, that’s where we found the Equal Sucralose Sweetener in the yellow box that can be used exactly like you would sugar. I’ve never used Equal for a recipe but part of this challenge was to go to the Walmart Meal Solutions App on Facebook and make a recipe using Equal instead of sugar. My daughters and I looked around the recipes and decided upon the Morning Sunrise Smoothie. In a blender combine orange juice, strawberries, yogurt, and sugar or honey. Cover and blend until smooth. Divide blended mixture among 4 glasses. Top each with Honey Nut Cheerios®. Combine orange juice, yogurt, and honey in blender container. Cover and chill overnight. In the morning, simply add frozen strawberries, blend, and serve. 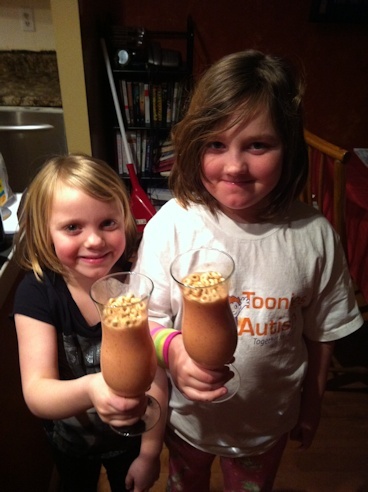 The girls loved the smoothie and I was impressed, it was delicious….even though mine didn’t include the cheerios! I’ve also created a Google+ album, Shopping for Equal at Walmart and a Recipe! 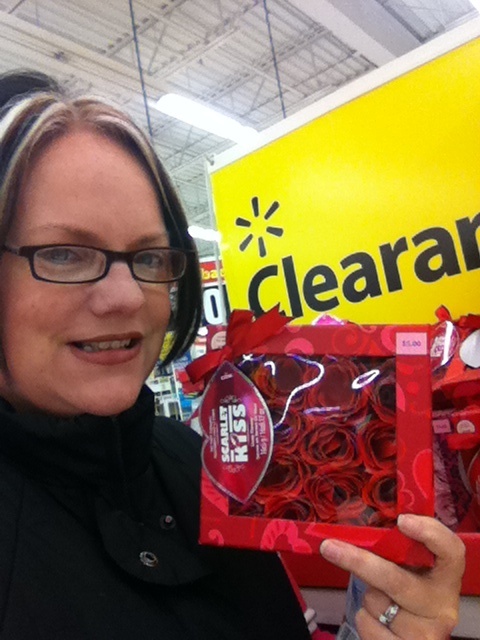 #cbias you can see how going shopping with me torments my Hubby if you’re interested. You can connect with #EqualCanada on Twitter & on Facebook. This shop has been compensated as part of a social shopper insights study for Collective Bias. #CBias, all opinions are my own. hahaha cheerios on a smoothie?? that is odd! great job on scoring the equal, next time I will check the pharmacy, who would look there for sugar right? I’ve never heard of cherrios on a smoothie, but the rest of the ingredients sound yummy. I’ll have to give that a try. Sounds delish! I love the canister that the Equal comes in!